Caddo Lake Fishing is a Unique Experience!! Fishing with Allen's Guide Service you’ll need your camera for more than just big bass. Visit the swampy bayou country of beautiful Caddo Lake located on the border of Texas and Louisiana close to Shreveport and Bossier City. You will have a great experience with professional bass guide Mark Allen that "Lives on Caddo Lake". 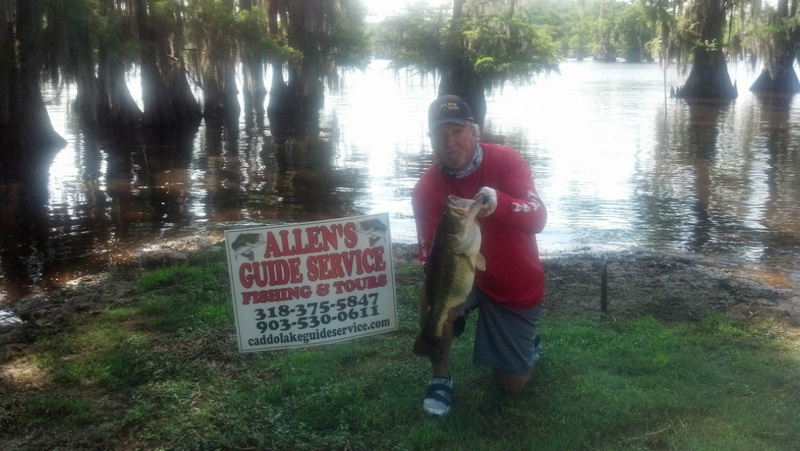 Thanks for visiting Allen's Guide and Tour Service on Caddo Lake. We specialize in "making memories of a lifetime". Come experience Caddo Lake Bass Fishing at it's finest! !